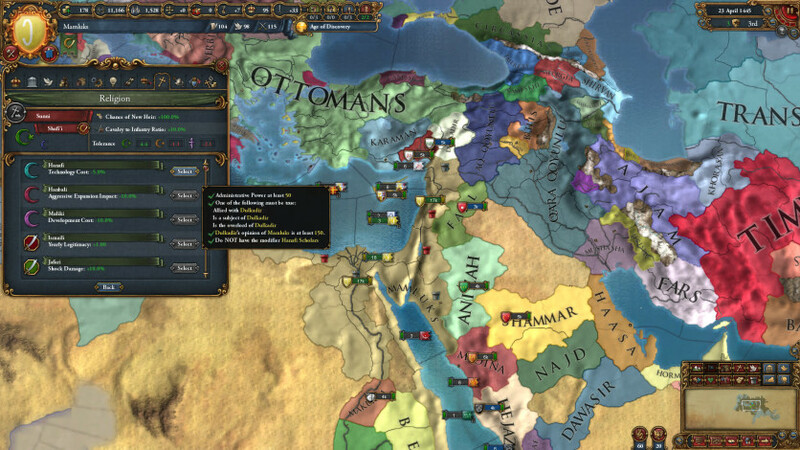 The fertile valleys and trade routes of the Middle East have attracted ambitious conquerors since the beginning of recorded history. 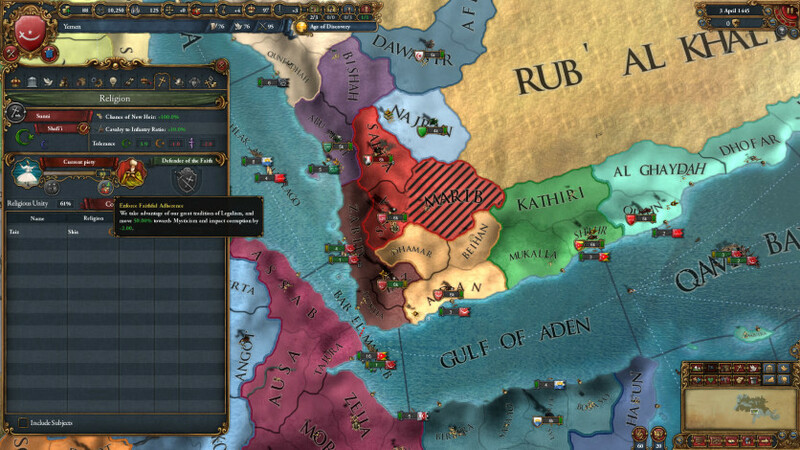 Now, Europa Universalis IV adds greater depth and more varied possibilities to this crossroads of empires in the new expansion Cradle of Civilization. 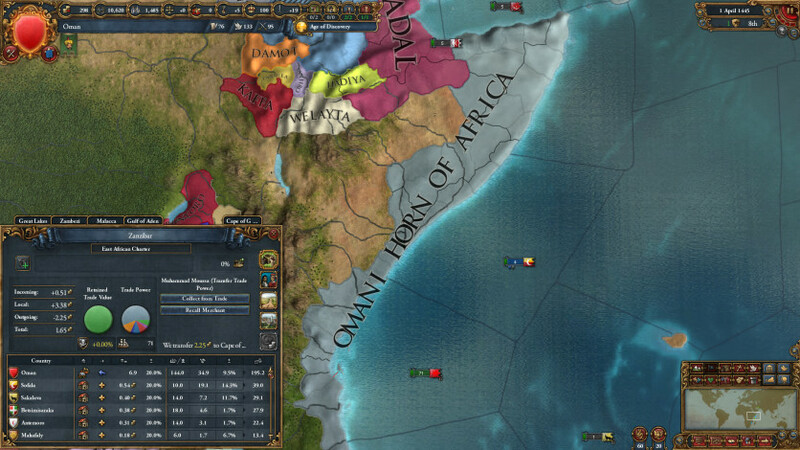 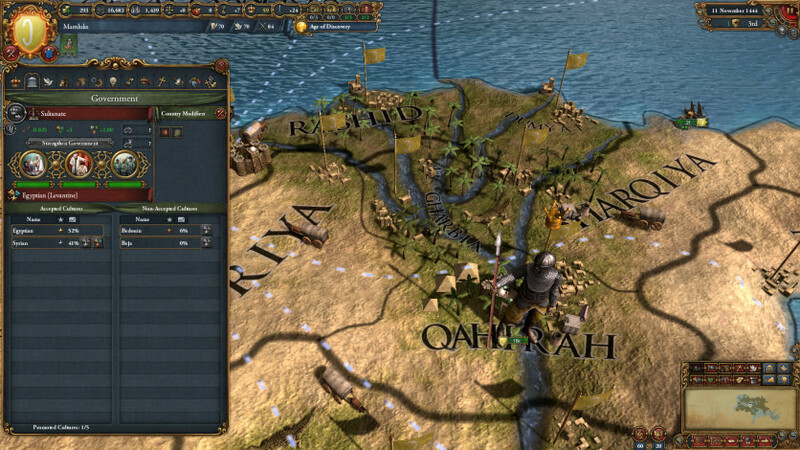 With new decisions and opportunities tied to the historical development of the region in the early modern era, Cradle of Civilization further enhances the award-winning grand strategy of Europa Universalis IV. 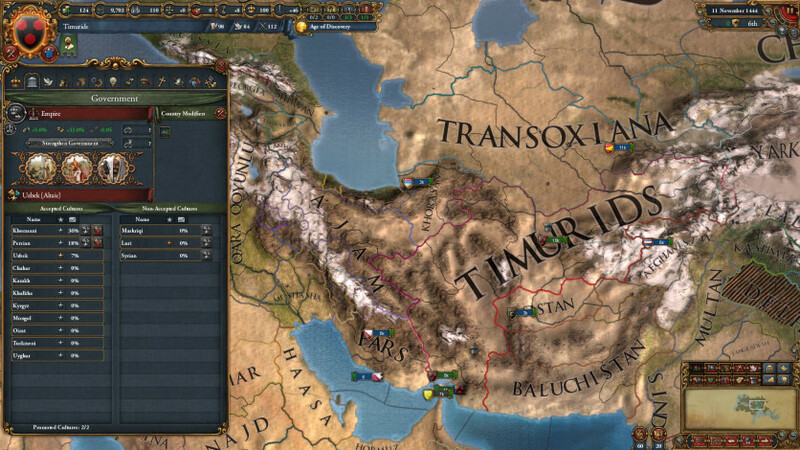 New Governments: powerful decisions related to each of the special government types of the Middle East, including unique mechanics for the Egyptian Mamluks, Persia, and the heirs to Timur. 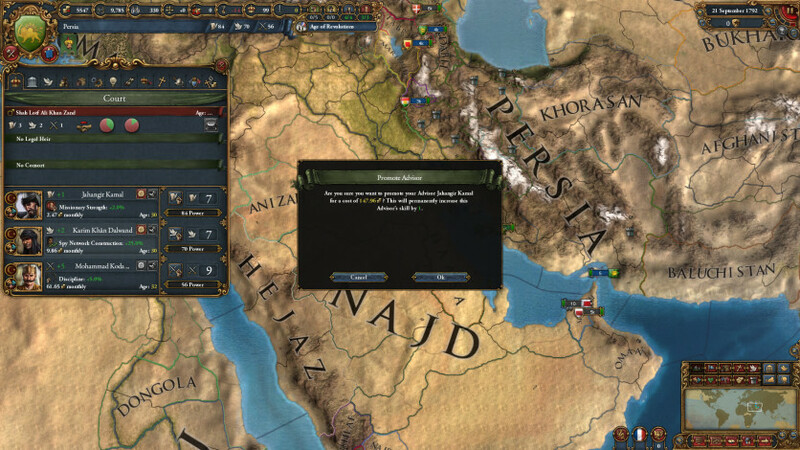 Trade Policies: activate your merchants in trade nodes for special missions beyond the collection of money – prepare the ground for a future military action or spread Islam to an eager audience. 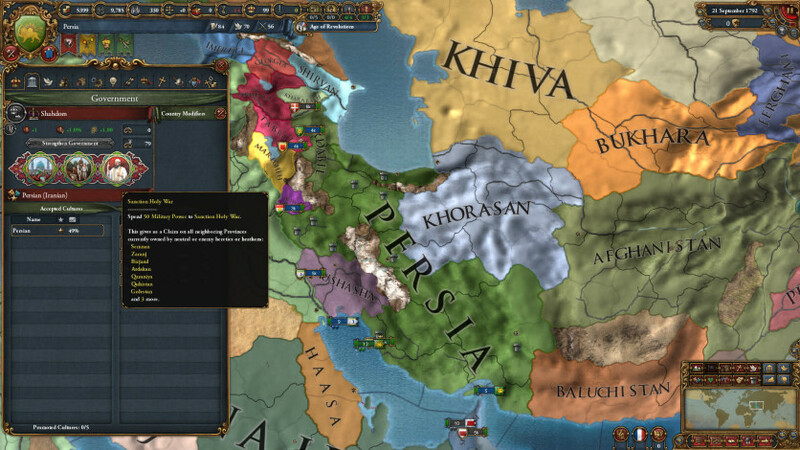 Islamic Schools: study the doctrines and understandings of the one true faith for special bonuses and diplomatic advantage in a new adjustment to the last of the great Abrahamic religions. 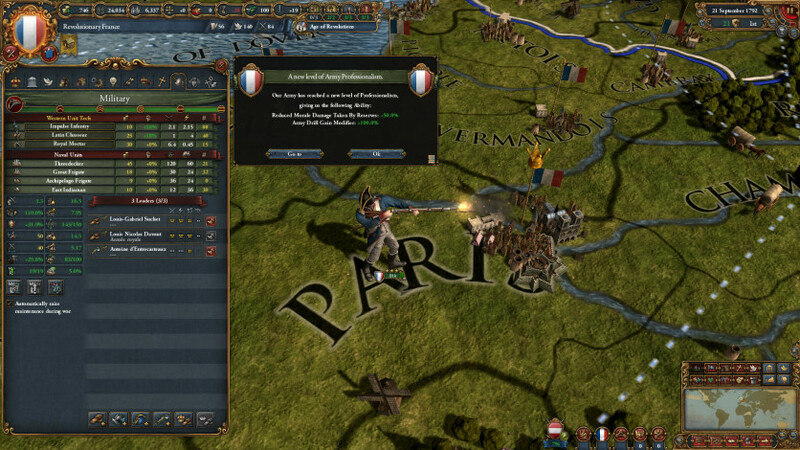 Army Professionalism: drill and discipline your armies as you move from the age of mercenary captains to the mass levies of standing armies. 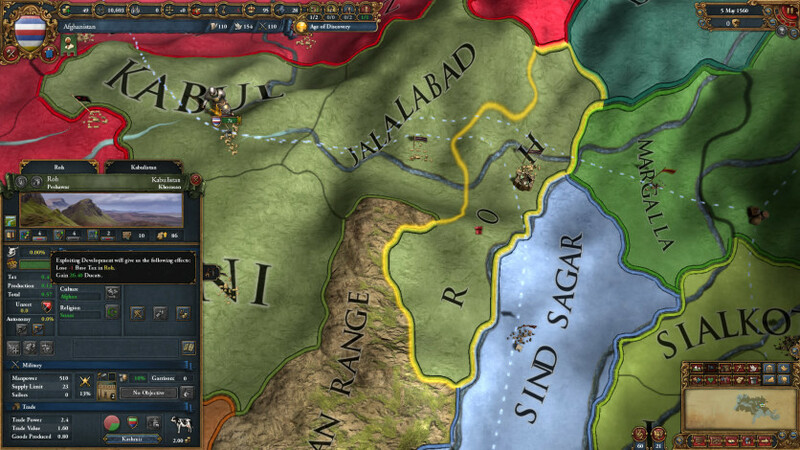 Exploit Development: reduce the strength of your provinces for a quick influx of cash or manpower, stripping your nation's future for immediate gain. 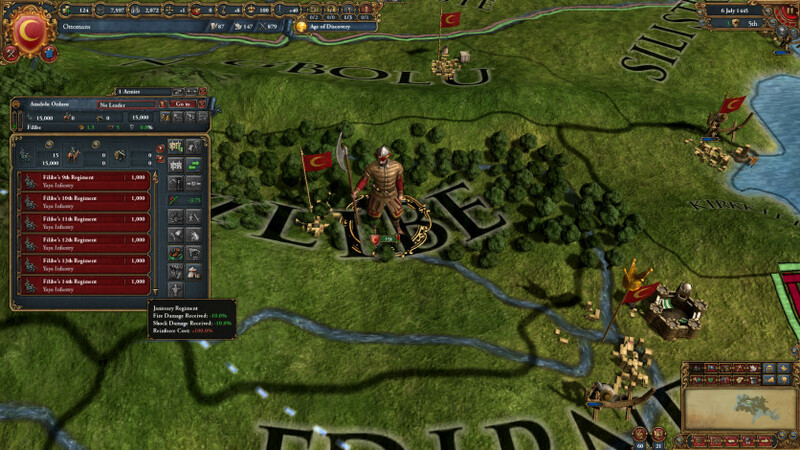 And more: changes to national ideas, missionary actions, Turkish Janissaries and many other game mechanics.